Andrea Watson is a Port Washington, NY based maritime photographer and journalist. She began her career in journalism in 1999 when she began writing a sailing column for two local newspapers called On The Bay and expanded the scope of the column to include her photos. Andrea’s press releases and photos hit the national and international sailing community when she became the Press Officer and Photographer in 1999, for the Knickerbocker Cup, an international match racing regatta. Until Dec. 31, 2018, Andrea was the Executive Secretary of the Yacht Racing Association of Long Island Sound (YRALIS). For 12 years, in addition to managing the office, she was their press officer and photographer, managing both the YRALIS website and Facebook page. To honor and recognized Andrea’s work at the YRA, the Board of Directors named a new perpetual trophy called THE WATSON. This trophy celebrates the achievements of women racing on Long Island Sound for their sailing accomplishments and their efforts in promoting women’s sailing. Andrea hopes to continue her relationship with the incredible ladies of Long Island Sound who are part of Women on the Water. https://www.womenonthewaterlis.com. In 2017, Andrea passed the FAA Part 107 Remote Pilot Certificate in August 2017. Since that time, Andrea has logged in over 150 hours flying her DJI Phantom 4 PRO. While Andrea was inspecting a friend’s roof one afternoon, some school children stopped to watch. For the next hour, she gave the 6 eager young students an impromptu demonstration on droning. Bingo! It was a natural match. With Andrea’s 20 years as an educator and the DJU TELLO EDU, teaching coding to kids had Andrea’s name all over it. She began developing a curriculum to introduce computer coding to kids while having fun and learning to fly a drone. For more information about this new program, please click here. When Andrea isn’t on the water with her cameras or flying one of her four drones, she can be seen walking her BFF (best furry friend) Bowie, an active and lovable golden retriever. Steve "Benj" Benjamin (Norwalk, CT) is the 2015 Rolex Yachtsman of the Year, recognizing Steve's accomplishments during the previous year, including winning the Etchells North American Championship. . Steve and Heidi had a clean sweep of overall wins in every offshore race they entered in 2015, including Fort Lauderdale to Key West, Marblehead to Halifax, Ida Lewis Distance Race and the Vineyard Race. Benjamin won the 2016 Etchells US National Championship on March 18-20 by dominating the field. 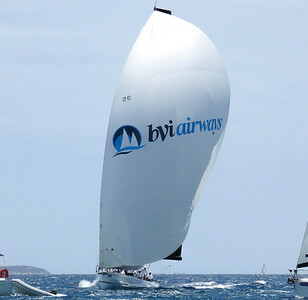 Then on SPOOKIE, their Carkeek 40, they won the BVI Spring Regatta and Sailing Festival, with 7 bullets over 7 races. The son of a boatyard owner, Benjamin started sailing at the age of nine when his parents introduced him to the sport through a junior sailing program at Seawanhaka Corinthian Yacht Club in Oyster Bay, NY. He went on to experience an outstanding college sailing career, earning College Sailor of the Year honors in 1978 as a member of the Yale University sailing team. Dave Perry (Southport, CT) is a racing rules expert, author, educator, match racer and promoter of youth sailing and all around great person. He is the highest ranked US sailor on the ISAF Match Racing Ranking List and coach for the US Sailing Team Alphagraphics women’s match race team, winners of the Gold Medal at the 2010 Miami Olympic Classes Regatta. He was the Rules Advisor to the U.S. Olympic Sailing Team in 2008 and 2012, and to two recent America’s Cup Teams (Victory Challenge in 2006-2007 and Artemis Racing in 2012-2013). In 2015, Perry won the U.S. Match Racing Championship for the 5th time proving that he is still on top of his game. Perry is considered one of the top, if not the top rules expert in the world. He is the current Chair, US Sailing Match Racing Committee. Dave has been actively working for the sport since 1977. He has led hundreds of US Sailing instructional seminars in over 50 one-design classes; and has been an author and Instructor for the North U Rules & Tactics seminars for many years. He is a US Sailing Senior Certified Judge and Certified Umpire. 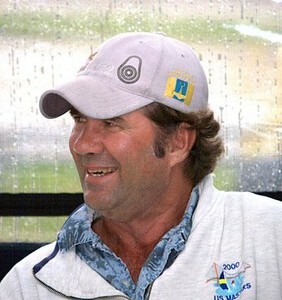 In 1992 he was voted into the Sailing World Hall of Fame; in 1995 he became the first recipient of US Sailing’s Captain Joe Prosser Award for exceptional contribution to sailing education; and in March 2001 Dave received the W. Van Alan Clarke, Jr. Trophy, US Sailing’s national award for sportsmanship. Dave is author of the North U Rules and Tactics Seminar Workbook, North U Intro to Match Racing Workbook, Understanding the Racing Rules of Sailing through 2016, Dave Perry’s 100 Best Racing Rules Quizzes, and Winning in One-Designs. Stephanie Roble (East Troy, WI) grew up in Wisconsin, on Lake Beulah, sailing scows and dinghies starting at age 5. She fell in love with sailing and competing while in the Optimist class. After a successful junior sailing career, Steph attended Old Dominion University where she received two All-American sailing honors, was the team captain and earned a degree in Finance. She was one of the few women competing as a skipper in the open division. In 2010 she began match racing and was instantly hooked on the fast paced game. Steph became a professional sailor 2 years ago so that she could spend as much time as possible on the water, broaden her skills and be a successful teammate. In 2014 she won the 2014 Etchells World Championship with Bill Hardesty, placed 3rd at the Women’s Match Race World Championship, 13th at the 2014 Melges 20 World Championship and won the US Women's Match Race Championship. 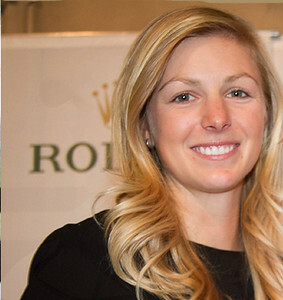 Following that successful year, Steph received the 2014 US Sailing Rolex Yachtswoman of the Year award. Steph was able to continue that momentum in 2015 by winning the Etchells National Championship, winning the Women’s International Match Race Series, placed 3rd at the ISAF Women's Match Race World Championship, third place at the World Championship, and placed 5th at the Etchells World Championship. For 2016, Steph is excited to be sailing with the Sally Barkow with the first even all female team on the World Match Racing Tour. In her spare time Steph loves to workout, explore cities, cook, read and spend time with her boyfriend, friends and family. In the latest ISAF/World Sailing match race ranking (April 13, 2016), Stef is ranked 4th female match racer in the world. She has an all time high ISAF/Sailing World match race ranking of 2nd place. William L. Gordon (Port Washington, NY) Founder, Managing Member, CEO & CCO, Dix Hills Partners, LLC, an alternative asset management company in Jericho, New York. He serves as the company’s Chief Executive Officer and Chief Compliance Officer. He had been focused on developing investments for institutional and high-net worth investors before founding the companies in July 2003. Until January of 2001, Bill was a Managing Director, Institutional Business Unit at Mitchell Hutchins Asset Management, a subsidiary of UBS/PaineWebber. Prior to UBS/PaineWebber, he held positions at Merrill Lynch Capital Markets for over 15 years, working with Fortune 500 corporation and institutions in pension/cash management, private equity and traditional asset management. 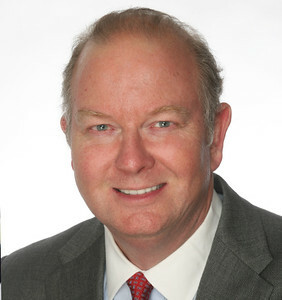 Additionally, he has held positions at Merrill Lynch in Institutional Marketing, Prime Brokerage/Securities Lending, and working with hedge funds and alternative investment strategies.A significant part of his career has been advising institutions, pension funds and high net worth clients regarding investments and portfolio strategies. Bill holds a B.S. in Chemical Engineering from Rensselaer Polytechnic Institute and an M.B.A. from Harvard Business School. In terms of his experience on the water, Bill is a member of the US Power Squadron and Port Washington Yacht Club, and has been “on the water” since 1968, and owns two power boats. Additionally, Christian Gordon, Bill's son, runs a family business, Long Island Boat Rentals (www.LIBoatRental.com), based in Port Washington. 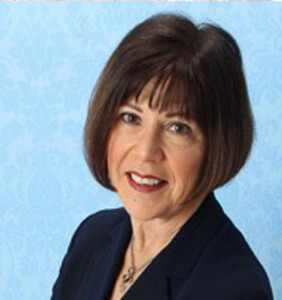 Lynne Stebbins, JD, AEP, CLU, ChFC (Glen Cove, NY) is Principal, Senior Legal Consultant with Mercer Executive Benefits and Private Client Life Solutions. Lynne works with clients and their advisors, offering strategic analysis of existing plans as well as techniques to address specific estate and business planning and succession objectives. Over the past 35 years, Lynne also served as Advanced Planning Attorney for Marsh Private Client Life Insurance Services, Vice President of Advanced Planning and Professional Services at Guardian, as well as a variety of leadership positions at New York Life. Lynne graduated from Indiana University and DePaul University School of Law. She maintains memberships in many financial organizations, and serves as a member of the Board of Trustees for the Society of Financial Service Professionals. 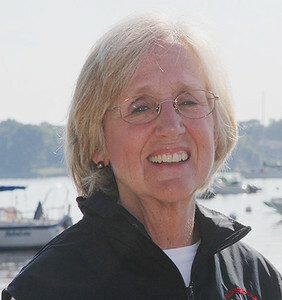 Lynne is a member of US Sailing with certifications in small boat sailing, coastal cruising and powerboats, promotes and supported youth sailing and serves frequently on race committees. Santo Chiappone, CPA is the owner of the accounting firm of SC CPA P.C., which strives to be significantly more involved with the accounting needs of a non-profit or small business than the typical outside accounting firm, especially when the non-profit or small business is using Quickbooks. As a Quickbooks Proadvisor for many years, we have the resources we need directly from Quickbooks and we know how to recognize errors and fix these errors so that the records are of a high quality. 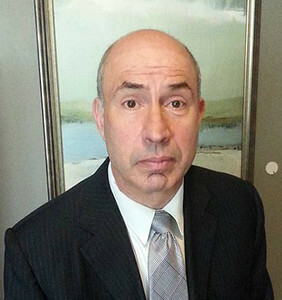 Mr. Chiappone has a many years of experience, starting in 1982 as a Senior Accountant for Satty, Hollis & Ciacco, CPAs, Roslyn, NY; Manager, Snyder, Levine & Chokshi, CPAs, Hartford, CT; Senior Accountant, Fred Geller & Co., CPAs, Lawrence, NY; Controller, Club De France, LTD, New York, NY; and Part-owner, Chiappone & Vissicchio, CPA, Jericho, NY. Mr. Chiappone has been the sole owner of SC CPA P.C. in Jericho, NY since 2000. Mr. Chiappone graduated form SUNY at Plattsburgh with a B.S. in Accounting, obtained his CPA License in March, 1984, has been a member of the American Institute of CPSs (AICPA) since June, 1984 and a member of New York State Society of CPAs since July 1984. He enjoys handball and various sports.